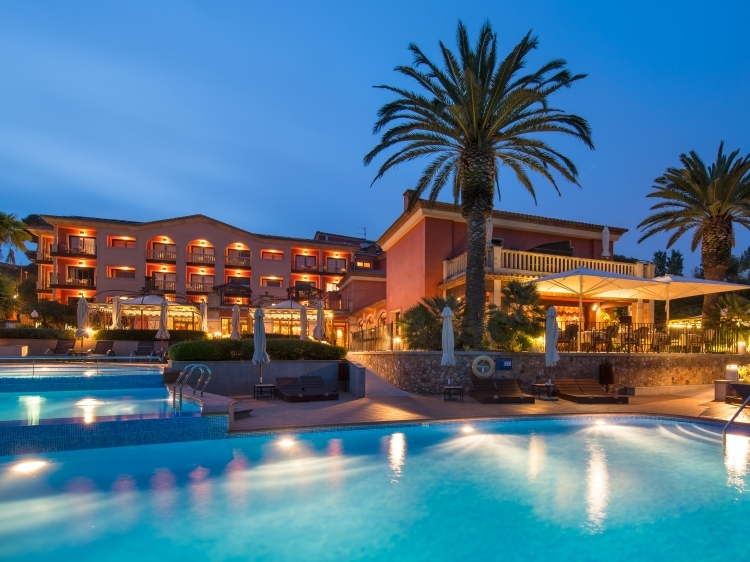 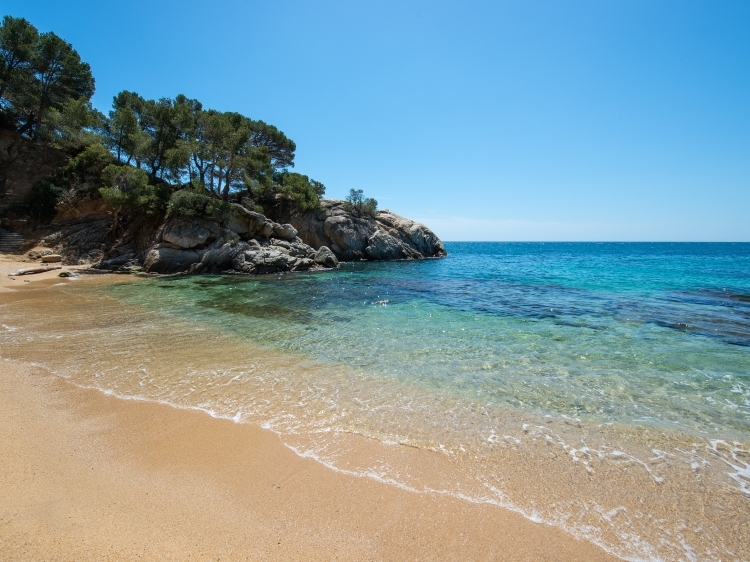 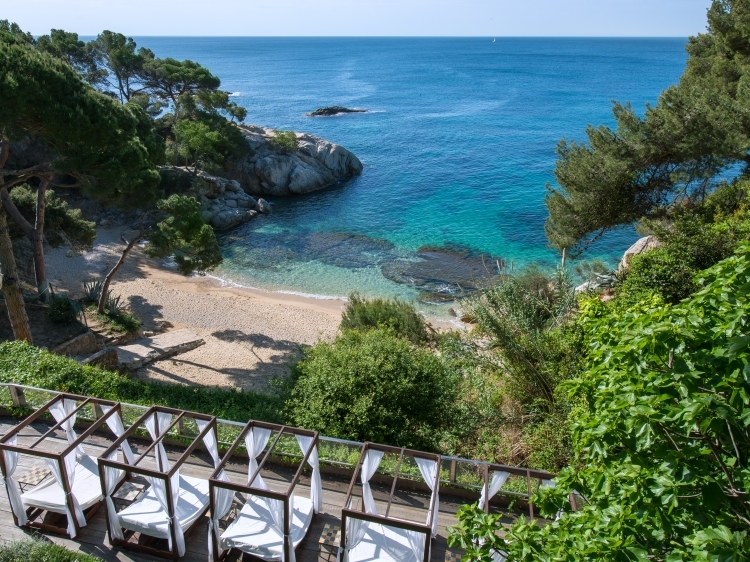 The Hotel & Spa Cala del Pi is located on the Costa Brava, just 27 km from the Girona-Costa Brava Airport. 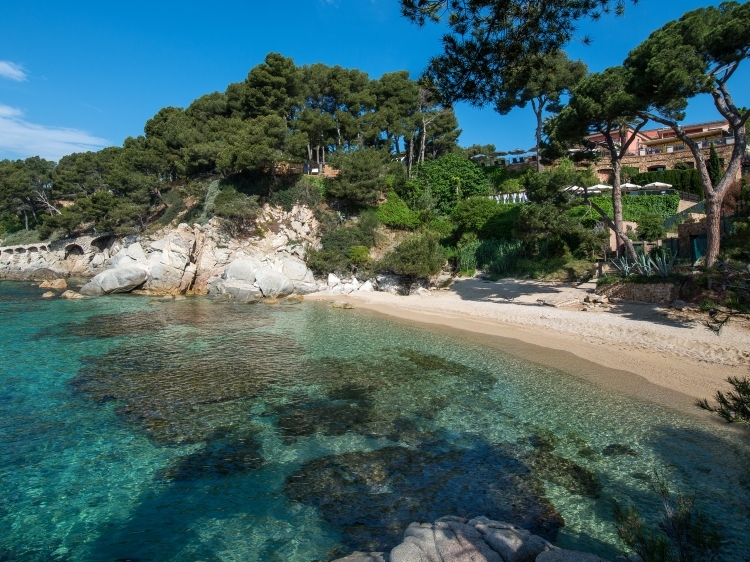 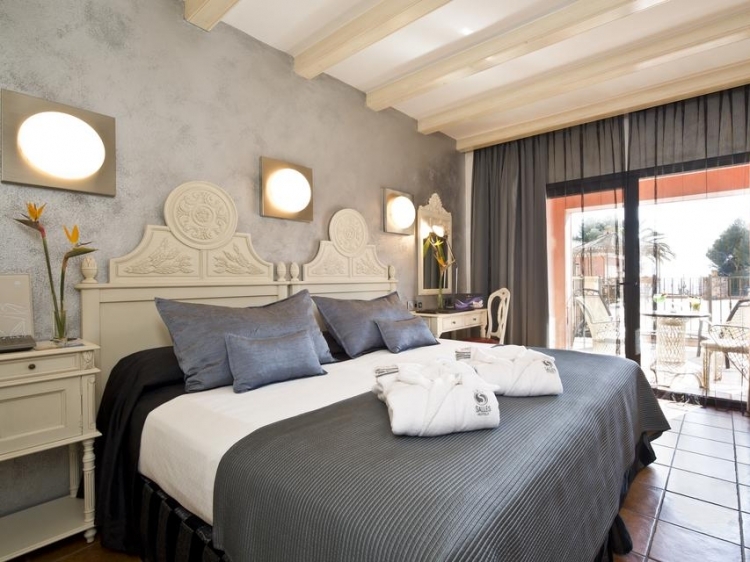 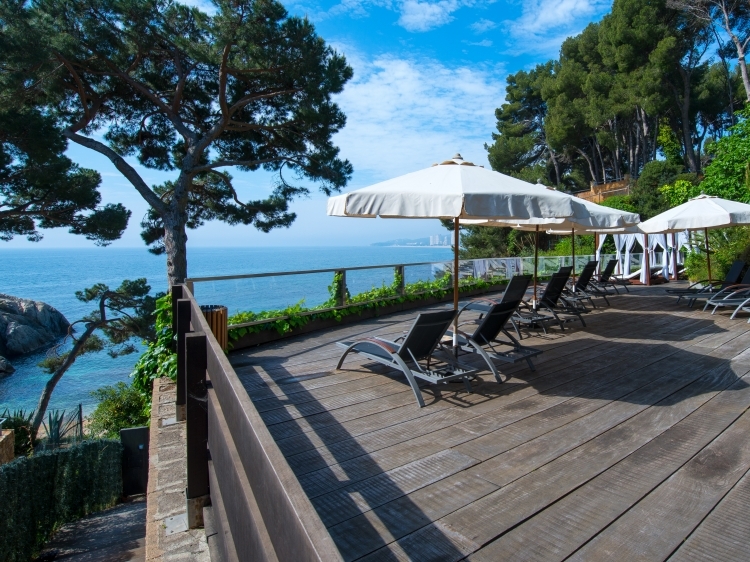 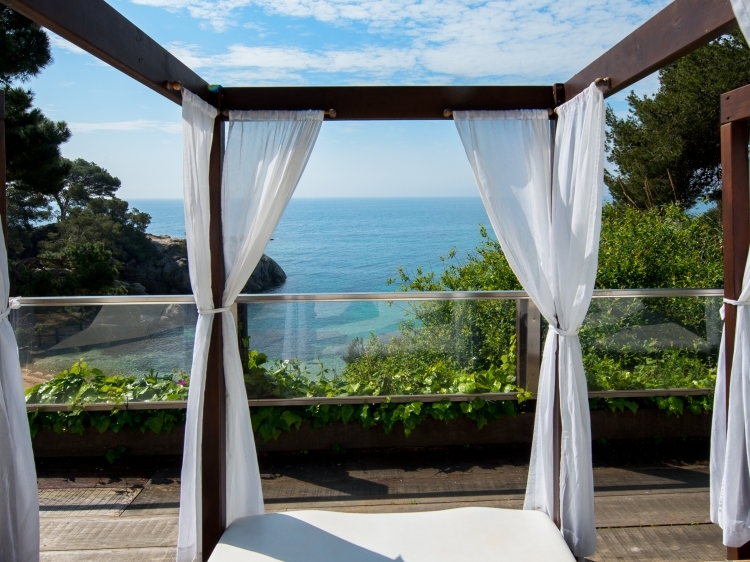 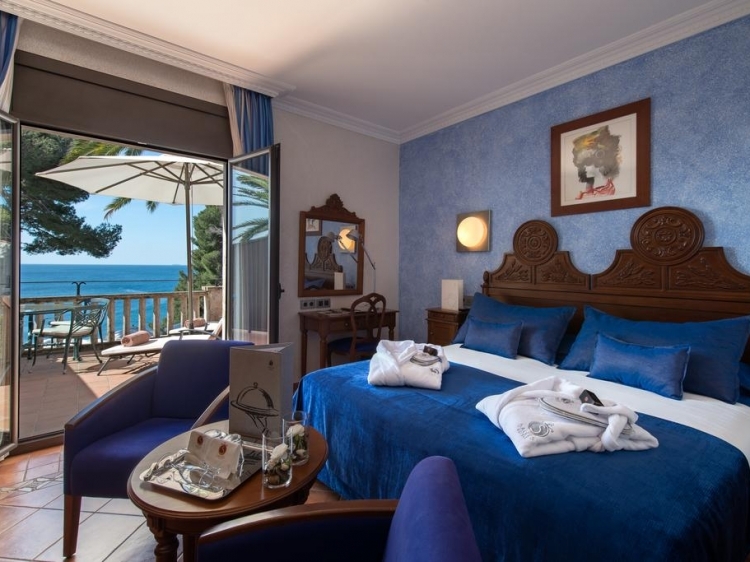 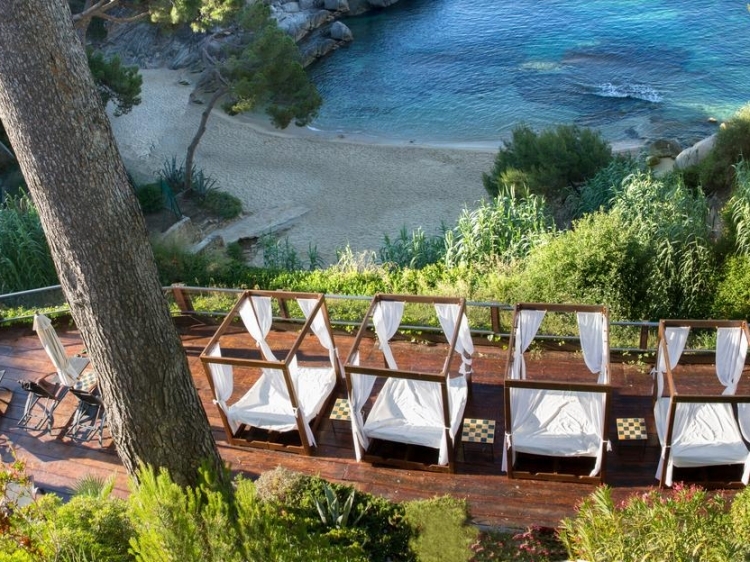 This luxury hotel offers direct access to the Platja d’Aro’s Cala del Pi Beach. 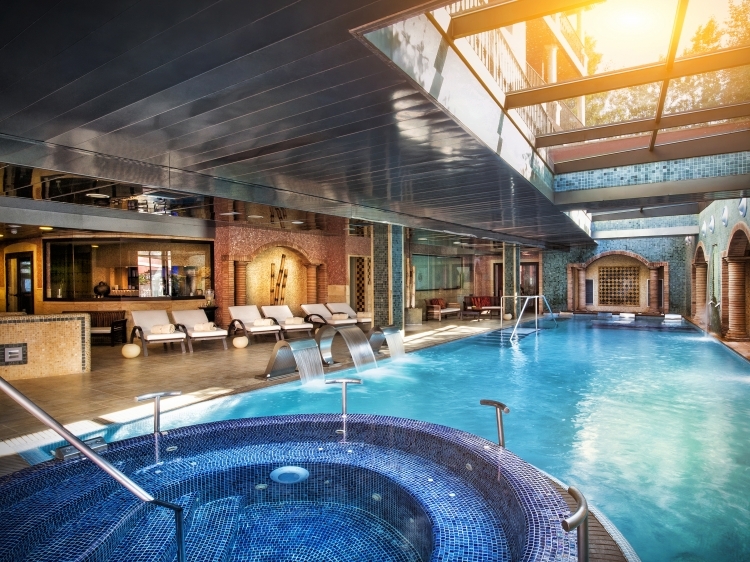 It has a free 600 m² spa and features a heated indoor pool, waterfalls, ice fountains, a Finnish sauna and Turkish bath. 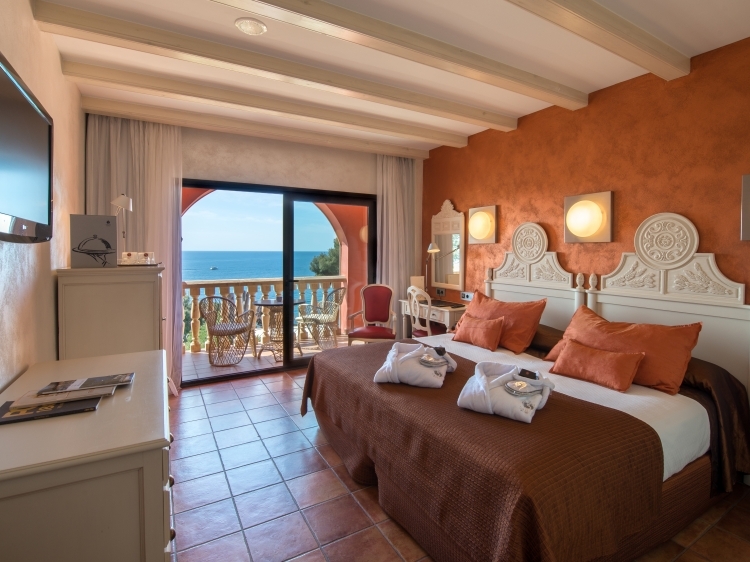 There is also a small fitness centre., free Wi-Fi and parking and an outdoor pool with sea views. 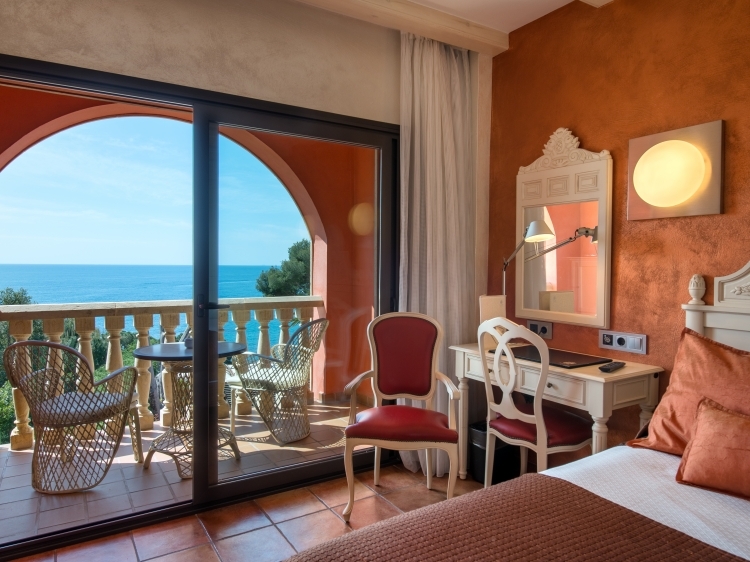 Rooms at Hotel & Spa Cala del Pi feature a hydro massage shower and a private terrace, many with views over the Mediterranean Sea. 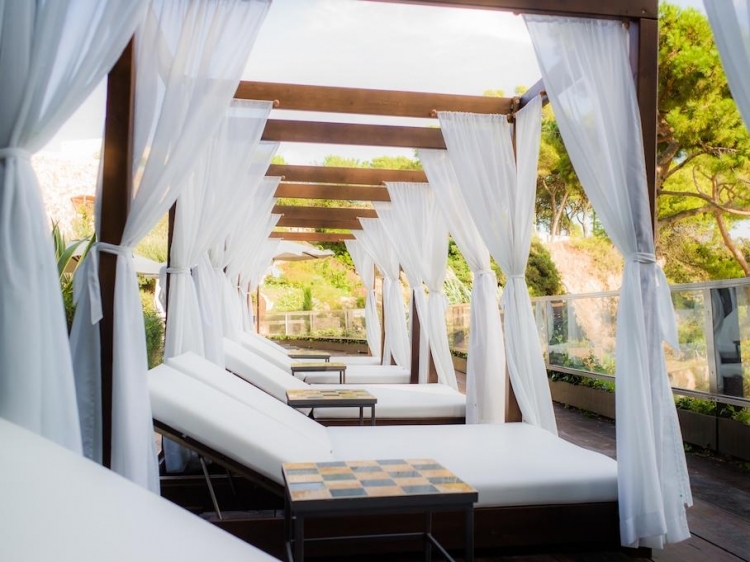 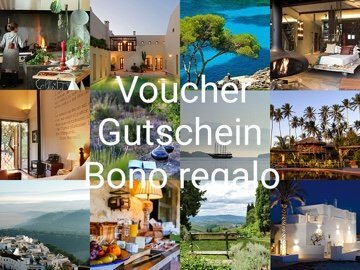 All of them come with satellite TV, pillow menu and Tous amenities. 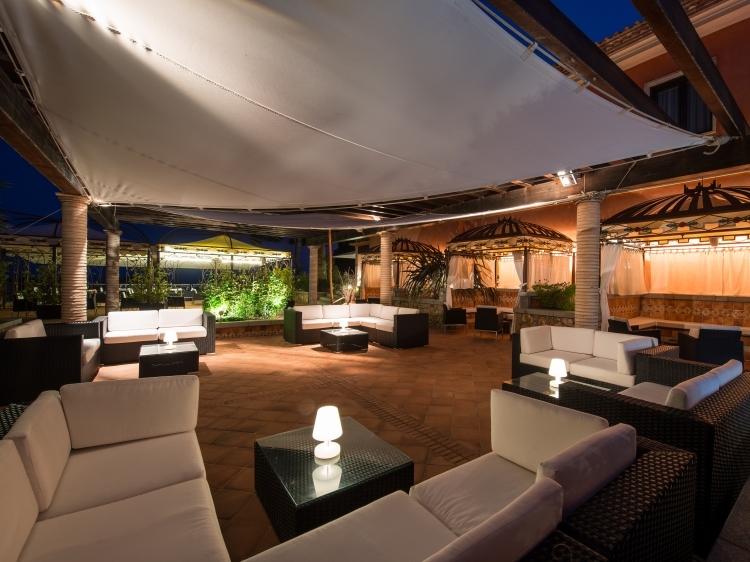 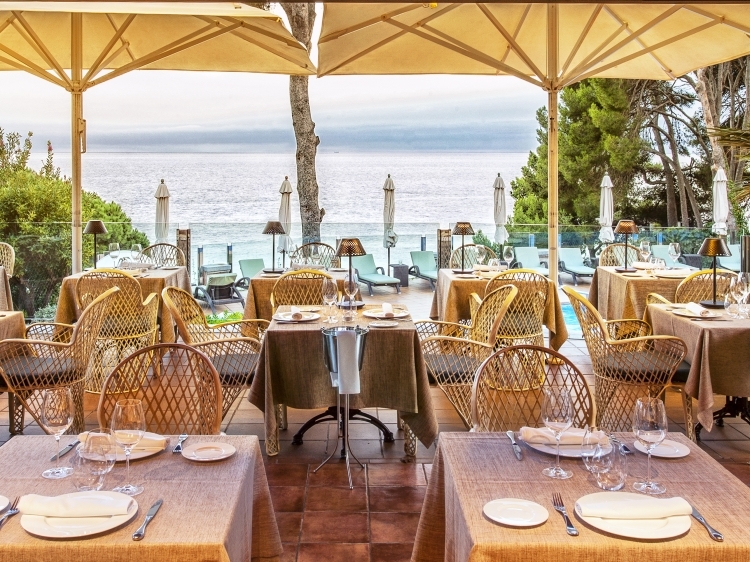 The Rosa dels Vents restaurant serves Mediterranean cuisine prepared using only seasonal products. 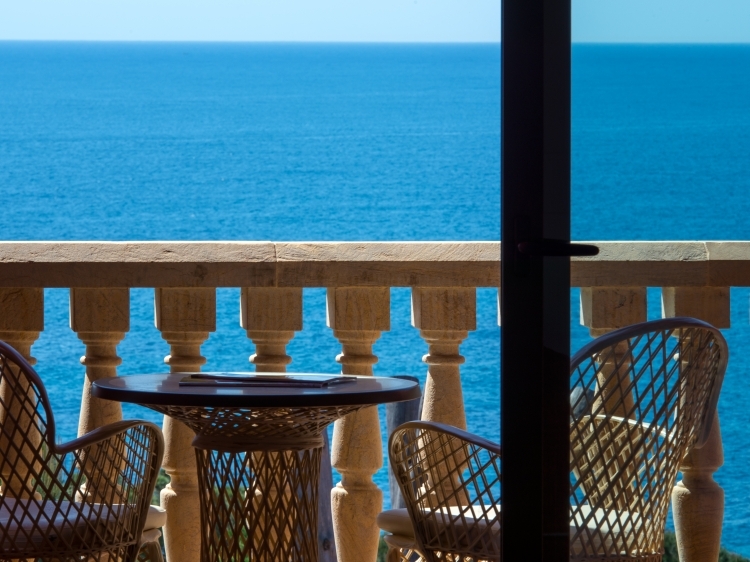 The cafe bar includes a summer terrace overlooking the sea.